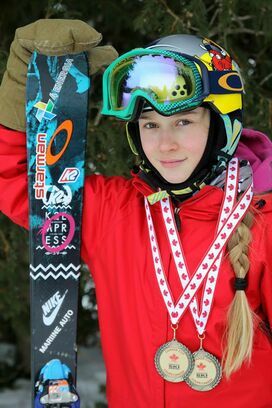 In the age of 13 Kelly Sildaru won gold in Women's Ski Slopestyle at X-Games Aspen 2016 and became the youngest athlete ever to win the Winter X gold. There is a rule which does not allow contestants younger than 15 years old to take part of Olympics or the World Champs and that makes it even more special. Kelly's story is extraordinary also because she is currently the only athlete in Estonia who is absolutely on the top of her game at the World arena.